Ah yes, the SAT, a standardized test widely used for admission to undergraduate programs of universities or colleges taken by Juniors in high school. As for the class of 2019, they were the first class in LAUSD to take the test for free, and on a school day. “I think that everyone should have a free education and the idea of the SAT being free is awesome,” said Carson High School Junior, Andrew Gutierez. 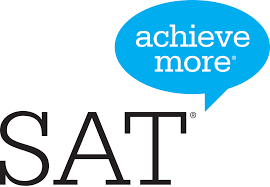 Many students from the class of 2019, not only in the Carson High School Complex, but the whole LAUSD School District was very grateful for the change of the way the SAT testing was distributed. “Overall, I feel like the SAT gave me a glimpse of my college future and it was a great opportunity to express our education,” said Academy of Medical Arts Junior, Celeste Perez. In the past, students would visit the college center here on the CHS campus to sign up for the SAT and where given multiple locations to test, paying the cost of $47 and up. The students designated colleges will receive their scores in 1-3 weeks after the scores have been reported. The best way to get ready for the SAT is available to everyone-Official SAT practice from the College Board and Khan Academy. Its free, personalized, and the only practice tool from the makers of the test. Its the best way to prepare.